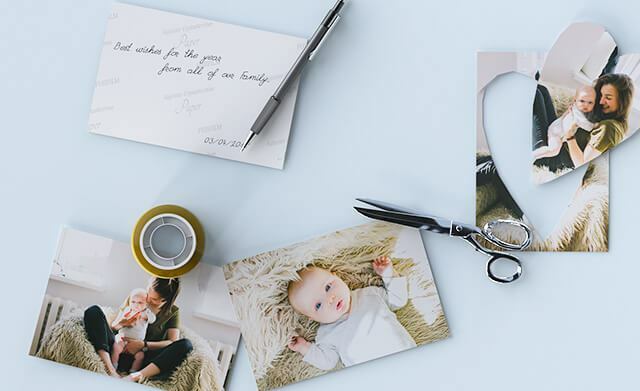 Your photos will suit certain print sizes better than others depending on their shape and size so make sure you don’t accidentally cut a loved one out… take our word for it, it won’t go down well. Once you've uploaded your photos, just click on them to edit and reposition where required. You'll see what part of your image won't be printed because it will be greyed out. You might want to zoom in on a picture to capture the most important part of it. If you do, select the photo and use the slider to move closer and further away- just make sure you pay attention to the quality warning. Zoom too far and you might be left with a slightly blurred image. 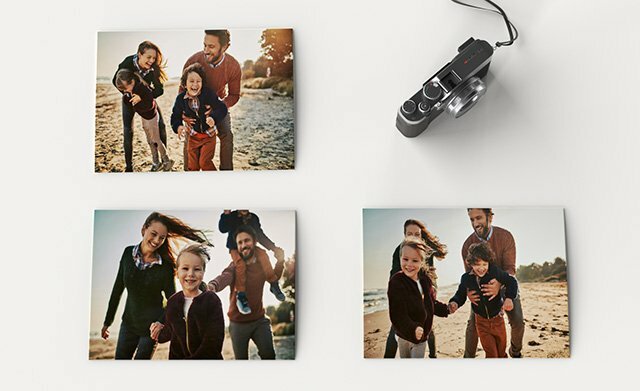 We have lots of sizes to choose from, so use the alerts to find the right size print for your photos. Editing photos is a given nowadays - it’s so easy to improve the look of your images! We can help with this too - just click ‘Edit’ when you add your photos and you can zoom, crop, tilt, rotate and more! Here you can also fix any brightness or red eye issues so you print the best version of your photo that you can! It’s simple, it’s effective, and it can transform a photo! Simply click ‘Edit’ when adding your photos and swap full colour for black and white in the drop down menu under the photo. 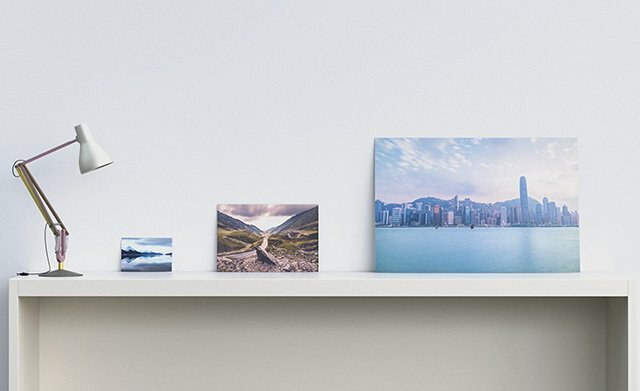 It will add a stylish feel to your photo, and ensure it is the perfect addition to any colour scheme in your home or another's! Not sure on the difference? Gloss photos are shiny and smooth, while lustre are moderately textured. There is more contrast in gloss photos so the images tend to be sharper and colors more vibrant. Lustre is best used for softer, more sentimental images. 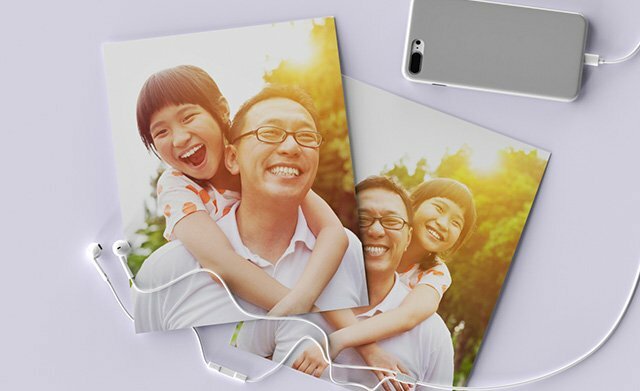 Square prints are modern, fashionable and really add to the effect of your printed photos. We offer such an extensive range of sizes, you really will be able to find the best one for your photo. So go for it, and try some of our square sizes quickly and easily when you add your photos! Do more with your memories! Large, small or in between? Whatever you choose, be sure to make the most of those special moments you've captured. 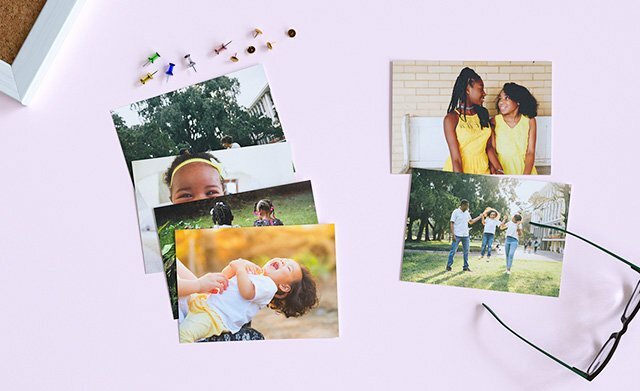 From your phone, computer or social media, uploading your photos is quick and easy - the fun part is choosing what you want to do with them. 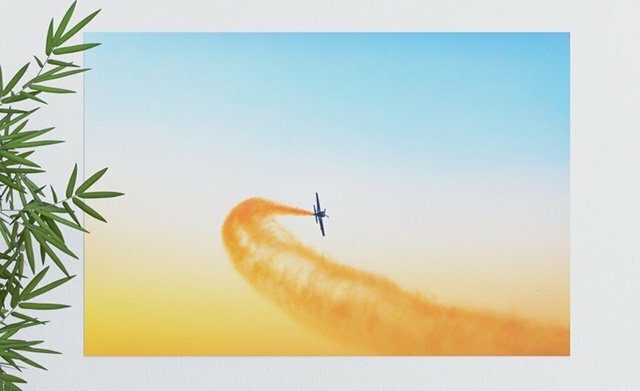 Whether you go for our best selling 6 x 4” and 7 x 5” right through to our large 20 x 30” prints or even our Collage Prints, all pictures will be printed on crystal archive quality paper in either a gloss or lustre finish, guaranteeing you a professional look and feel every time. 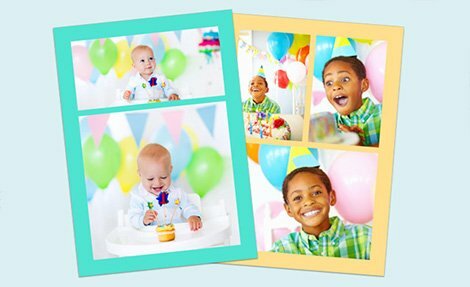 There is so much you can do with online photo printing, aside from simply printing your digital photos. We encourage you to get creative with your memorable moments. 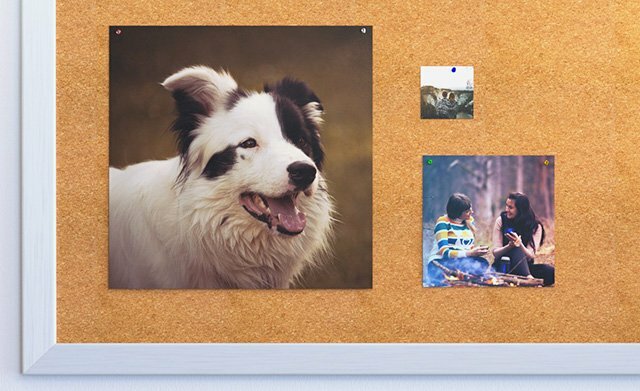 Go BIG and turn your favourite memory into a Photo Poster, perfect for adding colour to your walls at home. Whilst our new Photo Magnets make a fab keepsake or little gift and are a great addition to any kitchen fridge. Look at turning your favourite pictures into thoughtful Personalised Gifts, alternatively add a personal touch to an every day comfort. Our Personalised Phone Cases are great for both protecting your phone, and taking your favourite memory with you wherever you go. Fancy a bigger project? 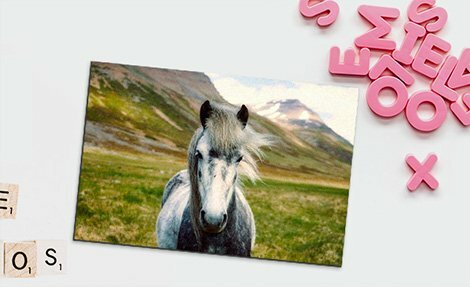 Why not look at creating your very own Photo Blanket? There's nothing better than snuggling up in on a cold night, wrapped in your happiest moments that have been caught on camera. 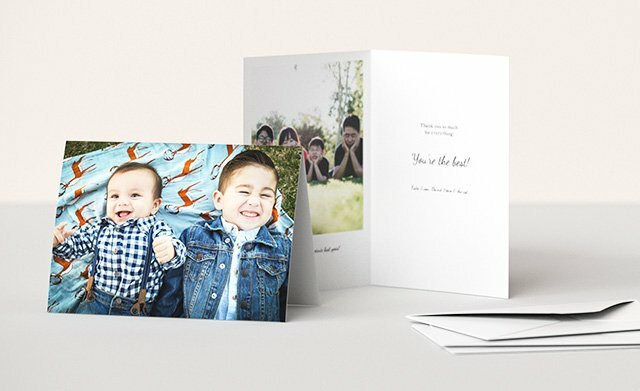 Whether you decide to print photos or showcase your creative side, your order will be handled with care and delivered straight to your door.